Beautiful office, good location and mostly important caring personnel and gentle doctor. Thank you for answering my call and the help. Very modern, professional, enjoyable. All staff and Doctors very helpful and informative. Dr. Shah, you were Amazing to me, Not all dentists wear capes but mine did! THANK YOU... and Mandeep you've truly been heavenly . Thank you for always going the extra mile. I couldn't be happier with my decision to walk in your facility. Every single employee was very professional and kind. They office was very warm and inviting, clean and comforting. Will be transferring all my children here. Loved it there. I was greeted with a friendly response when I entered the facility, the Dr explained my procedure of what I needed to get done and how many appointments I needed, I was really happy that they are open on Saturdays because I work Monday-Friday, I was in and out before I knew it, and really had a great experience during my appointment and I made my next appointment and I was done. Dr. Thind is the best!! I have always been a somewhat reluctant dental patient but she answers all of my questions, puts me at ease, and makes procedures as comfortable as possible. Her office staff is extremely pleasant, professional, and responsive as well. I am always able to be seen quickly when needed. The staff was nice as well as Dr. Thind. I was a little disappointed with the wait time, 45 mins; but they also squeezed me in for the day. The visit its self was very brief and I felt reassured when leaving. I will be returning. Was made very comfortable immediately. Friendly staff. Dr. Thind was very knowledgeable and made the appointment an ease. Very competent doctor. A pleasure to have found Dr. Thind. Started right on time and they got right to work. I got out with excellent service exactly as expected. I have the temporary cap, more to come in 3 weeks! Dr. Thind and her team were very friendly , welcoming and professional. They even explained everything very welll before they start the treatment. Appointments are quick, the procedures are painless and done right the first time. Dr. Thind cares about her patients and make them comfortable during visit. 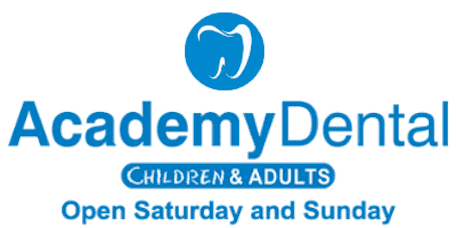 Academy dental NJ exceeds my expectations and is far more superior in customer service. Dr. Thind and her team is the best. I'll recommend my family friends to visit this Awesome Clinic. I'm very happy with their services and expect same from my near and dear one's too. I had a great experience with my dentist Dr. Thind, who is very patient and courteous, and takes time to explain everything thoroughly. She is one of best dentist around, and her staff is wonderful. Perfect for anyone with anxiety. Very understanding and supportive! It has been around 10 years since I could see a dentist because of anxiety. Years of problems finally able to be resolved all thanks to Dr. Thind!!! I'm actually looking forward to the next appt to get the next step in resolution done! I recommend to anyone and everyone! Quick and painless and super accommodating!